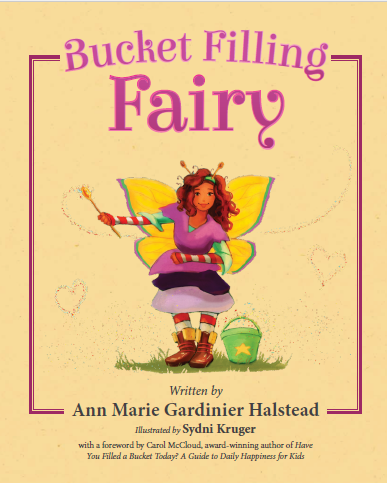 A Special Author Wrote the Foreword to Bucket Filling Fairy! We are so excited to share this news with you… Award-winning author Carol McCloud has written the foreword to Bucket Filling Fairy! Ms. McCloud has been so supportive of me ever since I wrote my play Have You Filled a Bucket Today? which is based on the concepts of her books Have You Filled a Bucket Today? and Growing Up With a Bucket Full of Happiness. I greatly admire Ms. McCloud and her organization Bucket Fillers, Inc. and am honored that she has written the foreword to my book. Signed copies will be available at www.bucketfillingplay.com later this month. We can’t wait to share it with you! ← Ann Marie’s NY Book Tour!